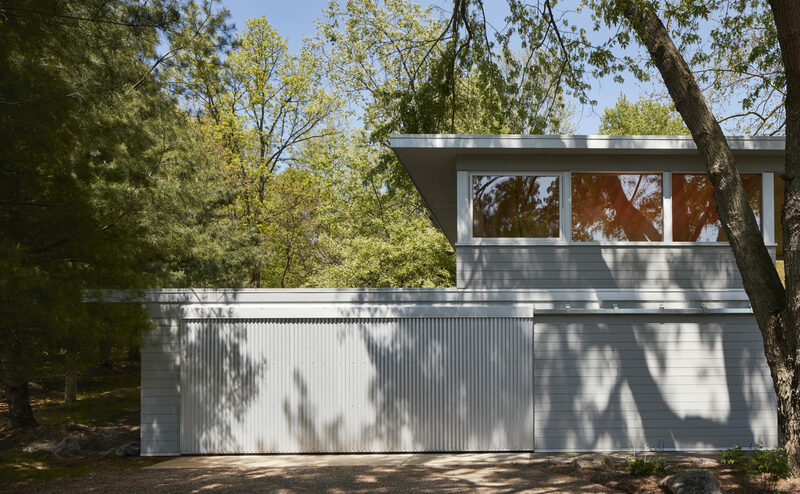 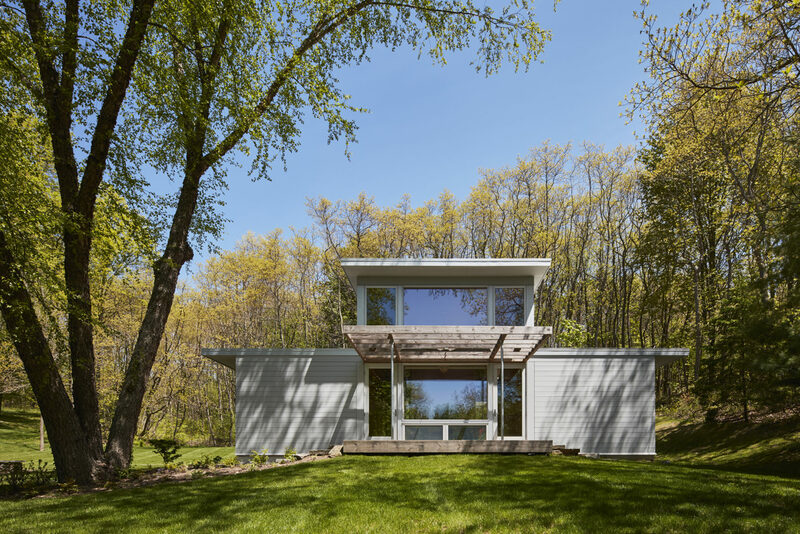 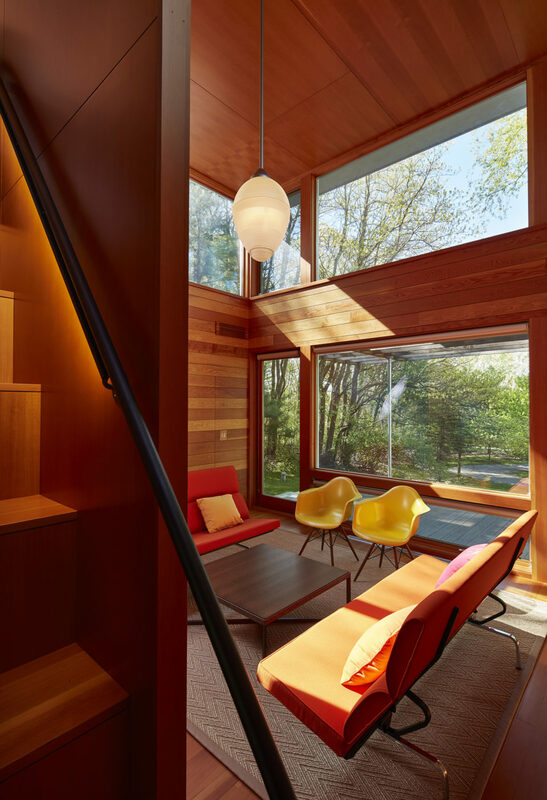 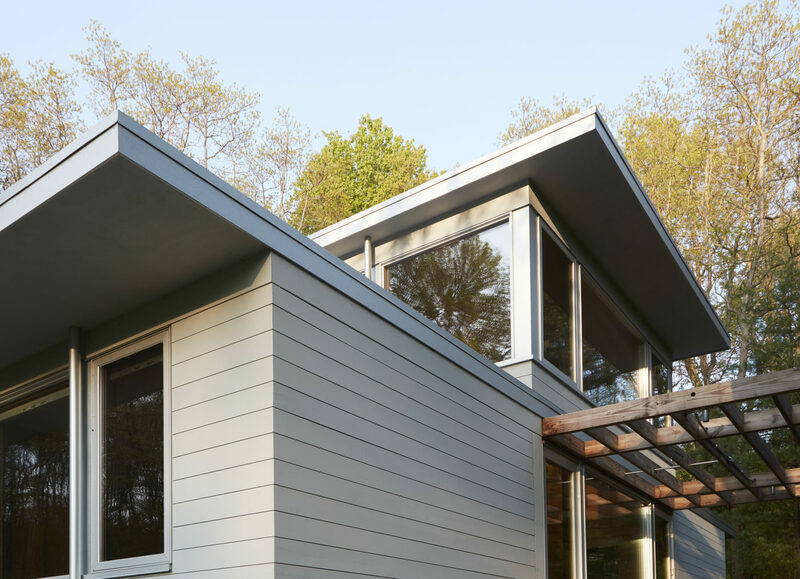 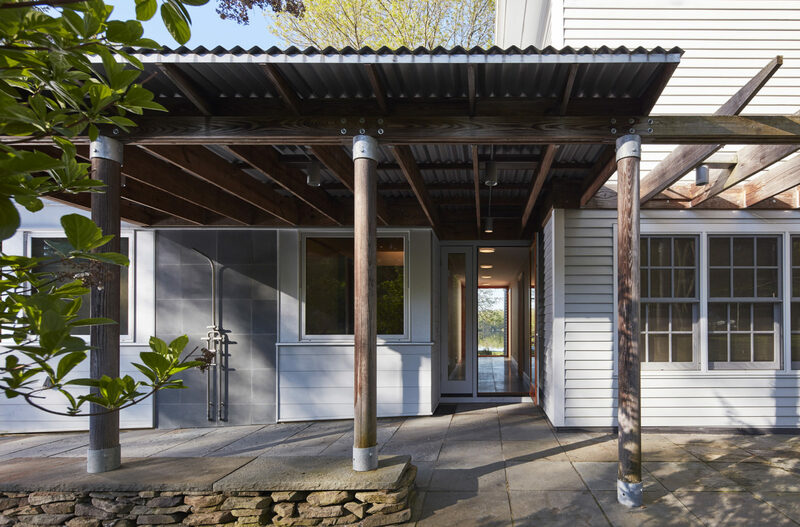 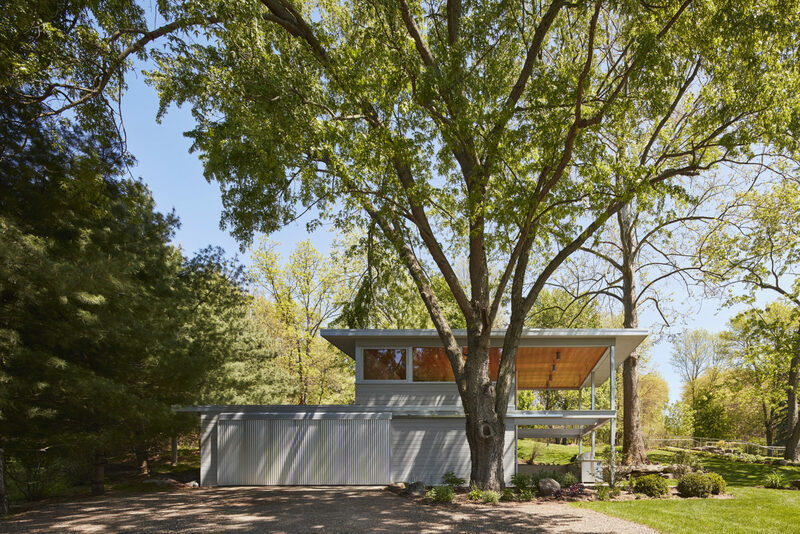 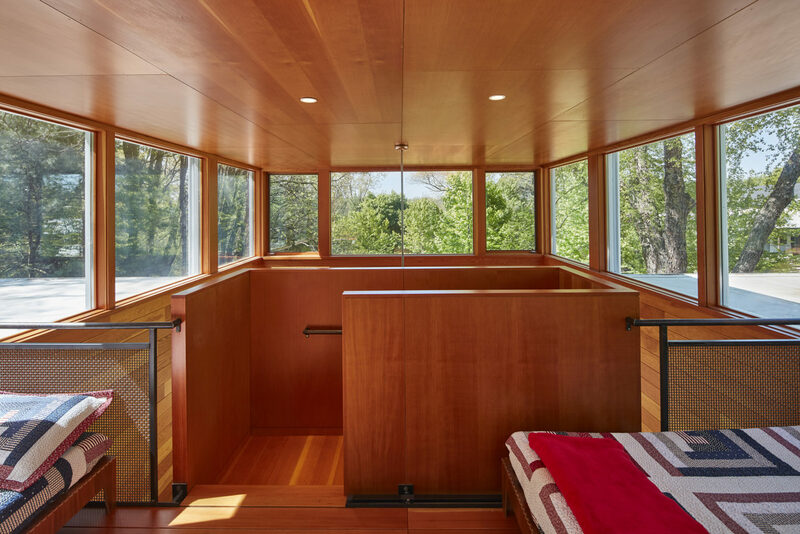 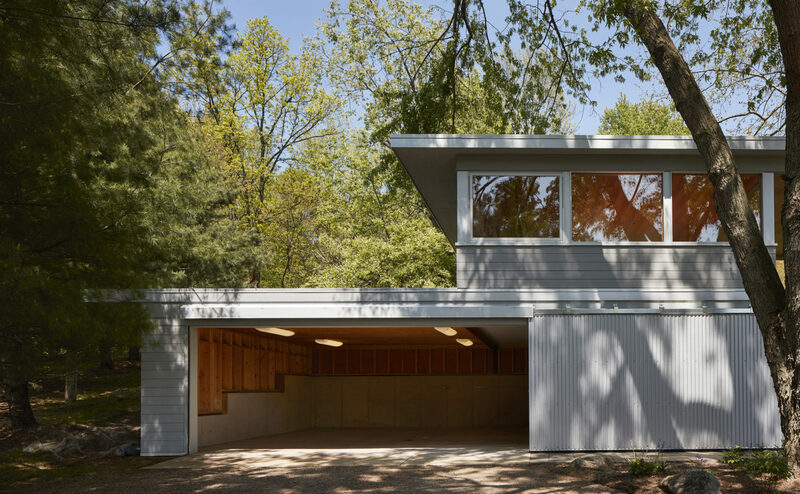 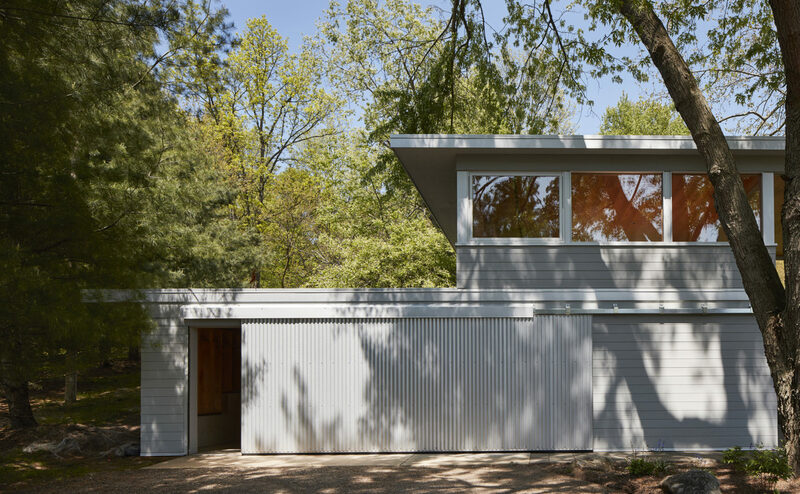 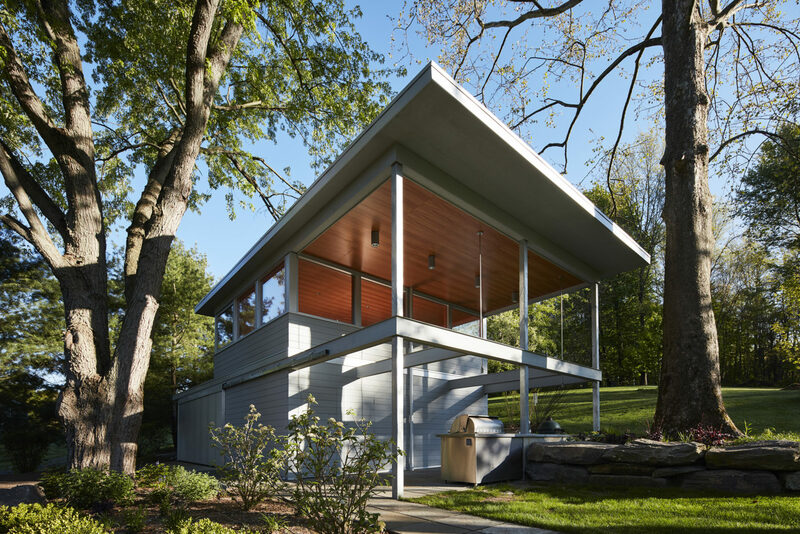 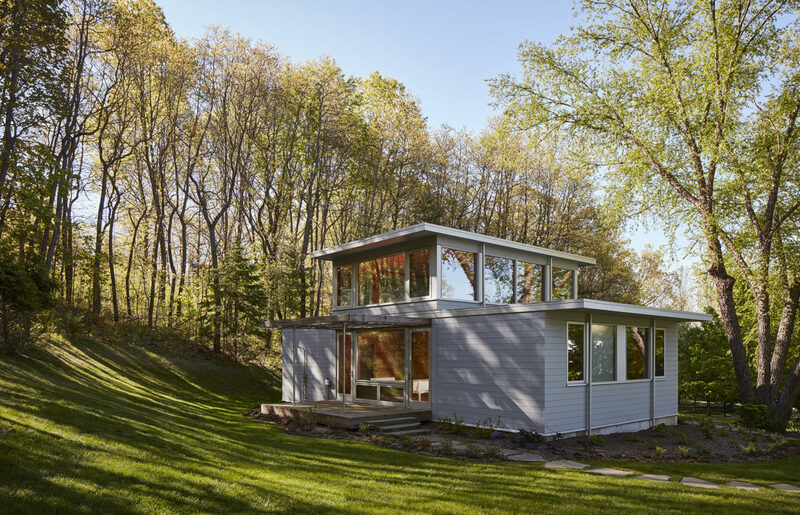 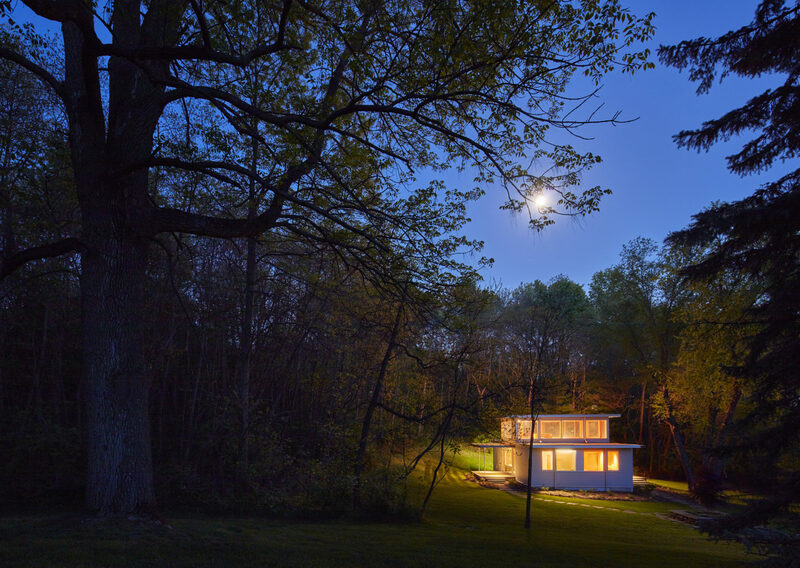 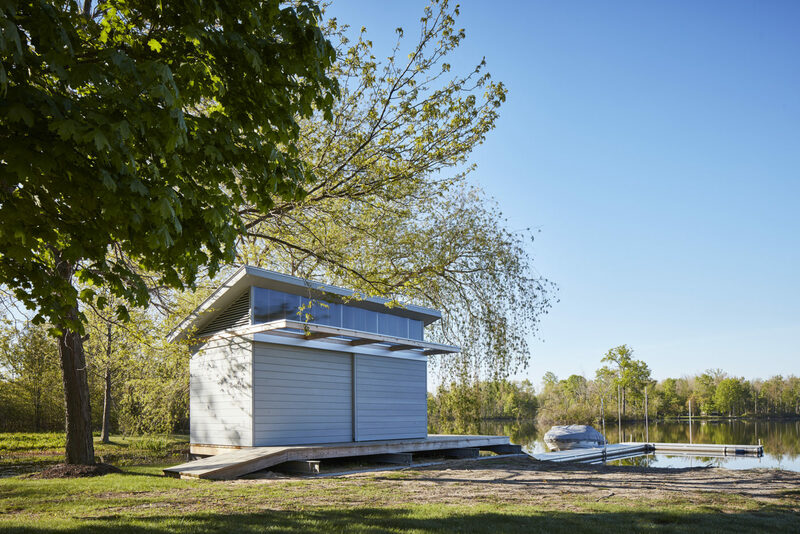 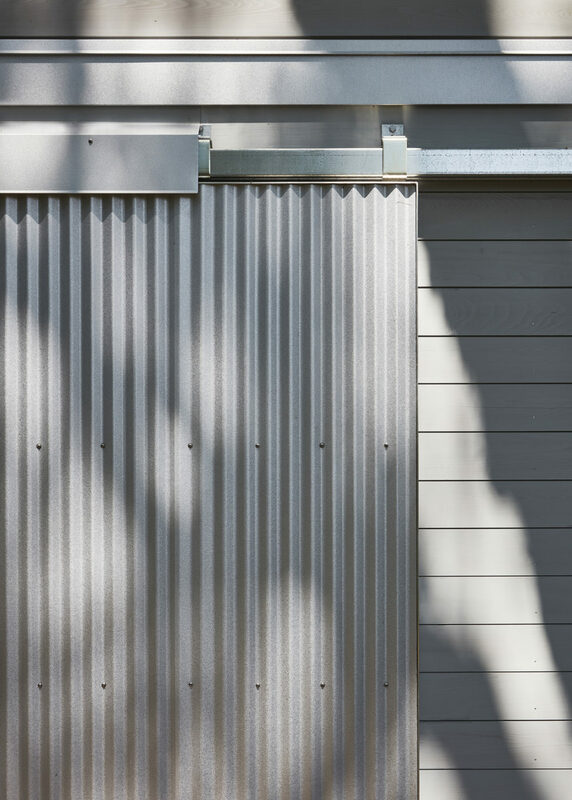 The Upper Lake Jeptha Guest House is the latest addition among the cluster of small buildings that comprise an ever-evolving, beloved family compound on a lake in rural SW Michigan. 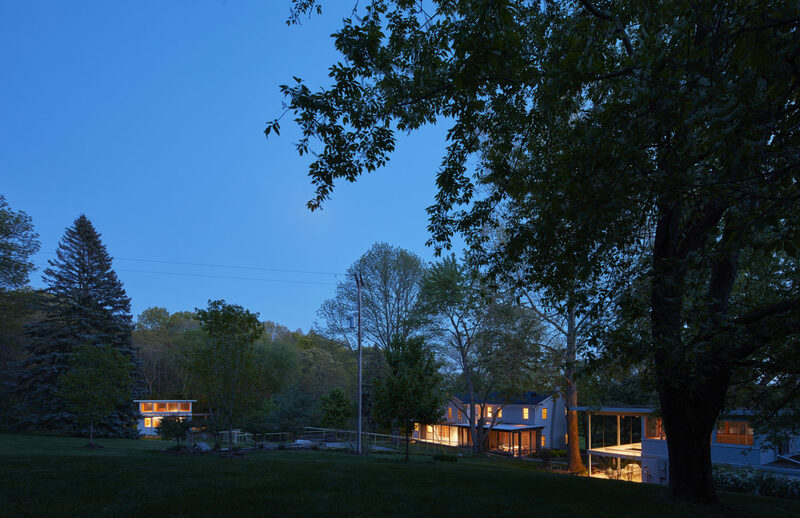 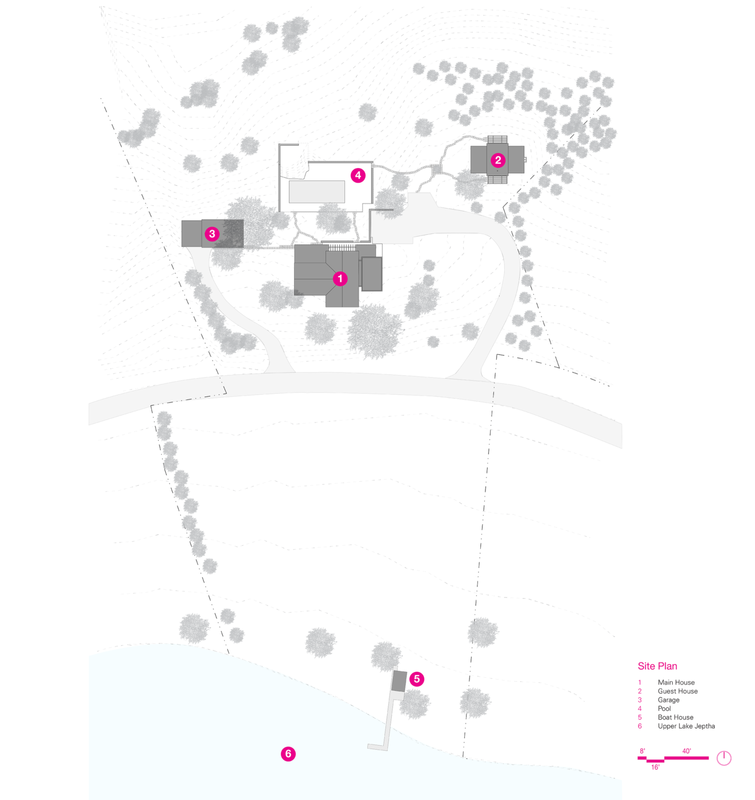 The “just far enough away” Guest House is positioned to contribute to and better frame the family’s exterior social spaces, simultaneously turning and fronting the lake beyond. 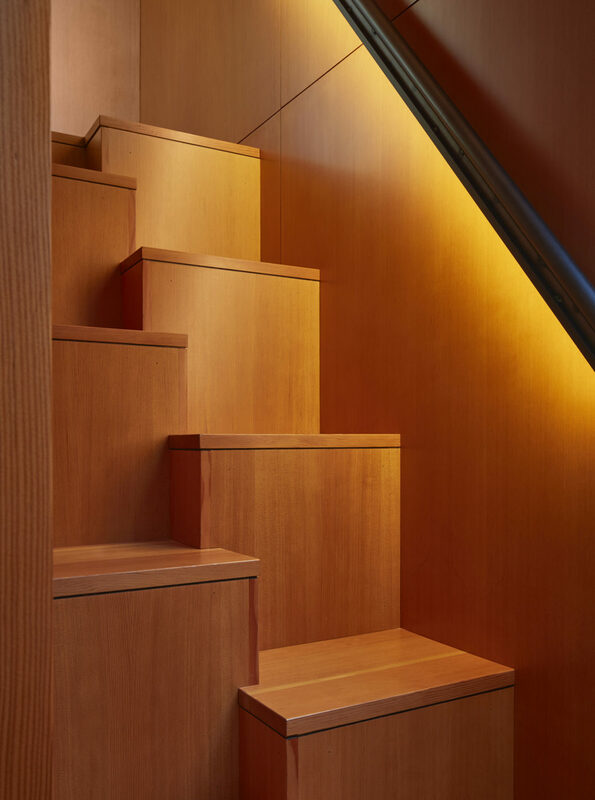 Composed of calm and muted, carefully curated materials and details, it maintains a stylistic consistency across the multi-building property. 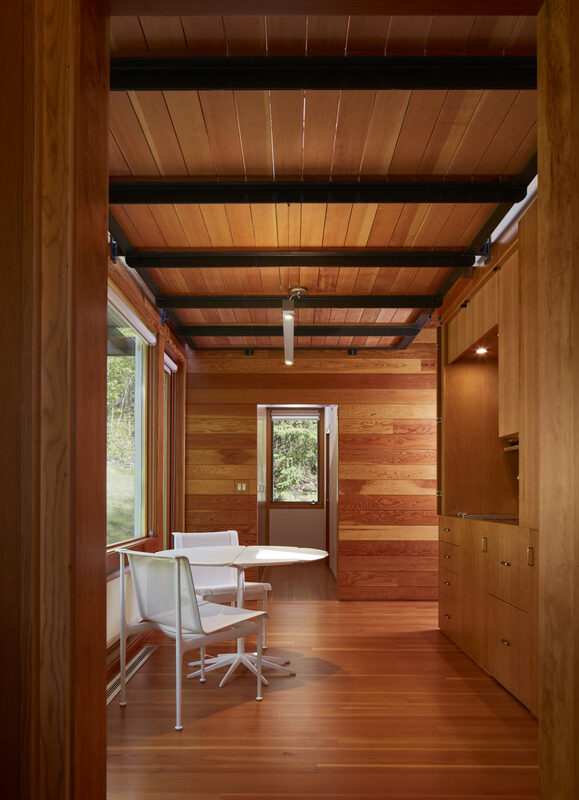 In contrast to the cool weathering gray exterior, a refined handling of Douglas fir wraps the interior, a kind of geode. 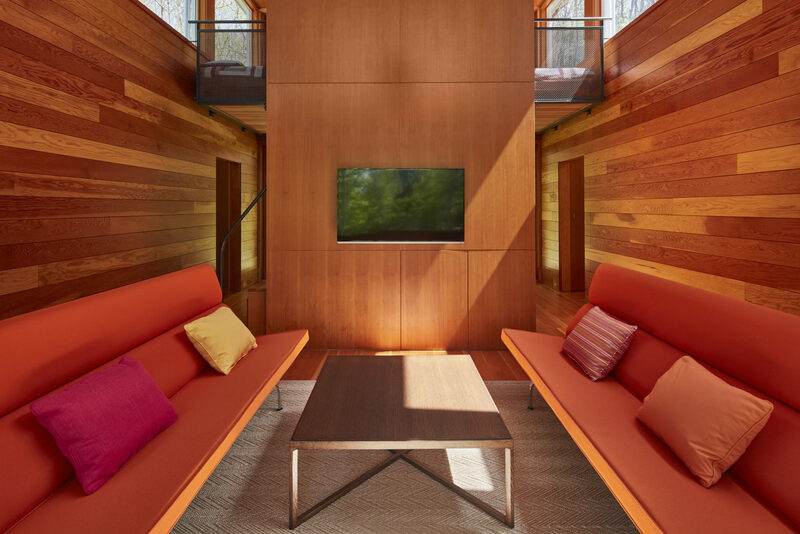 The intimate 960 square foot cottage is all a guest could need. 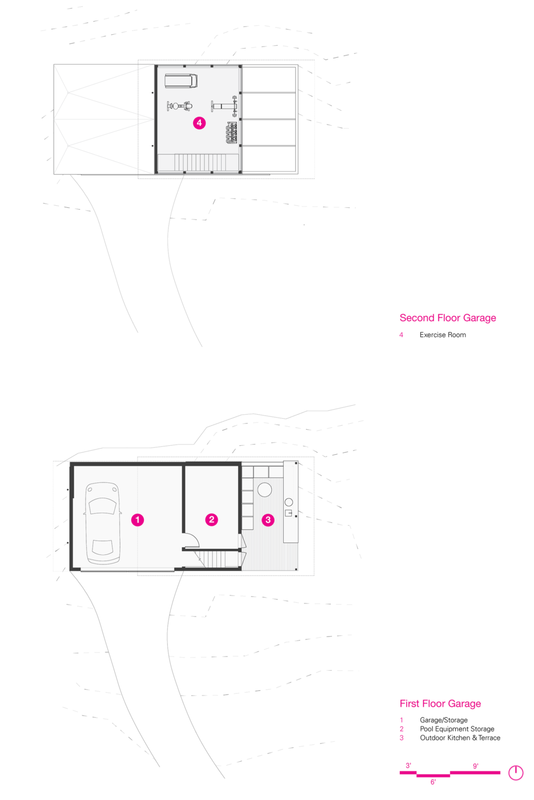 A small eating nook, a living/communal area, flanked by two-bedroom suites. 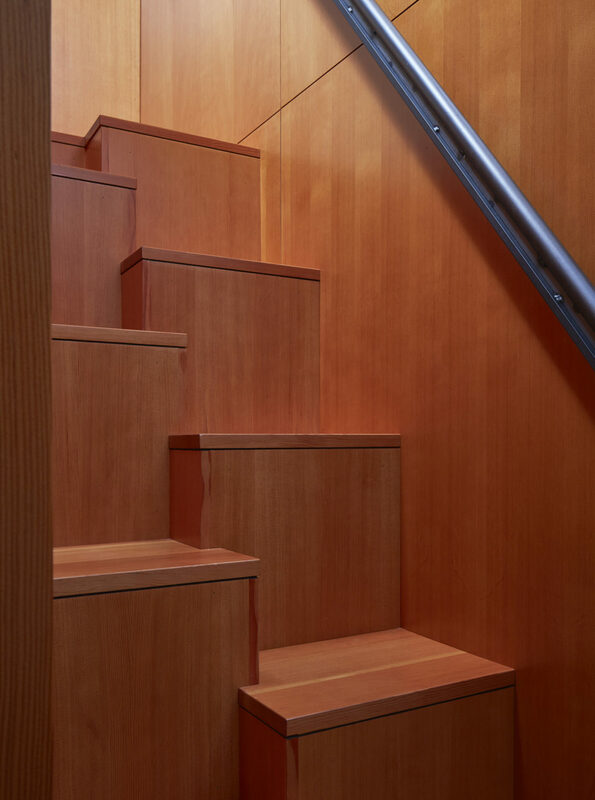 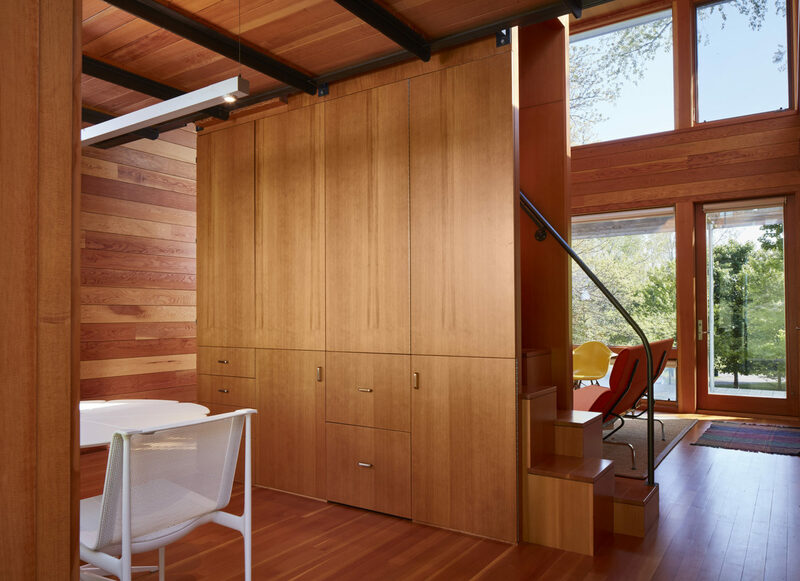 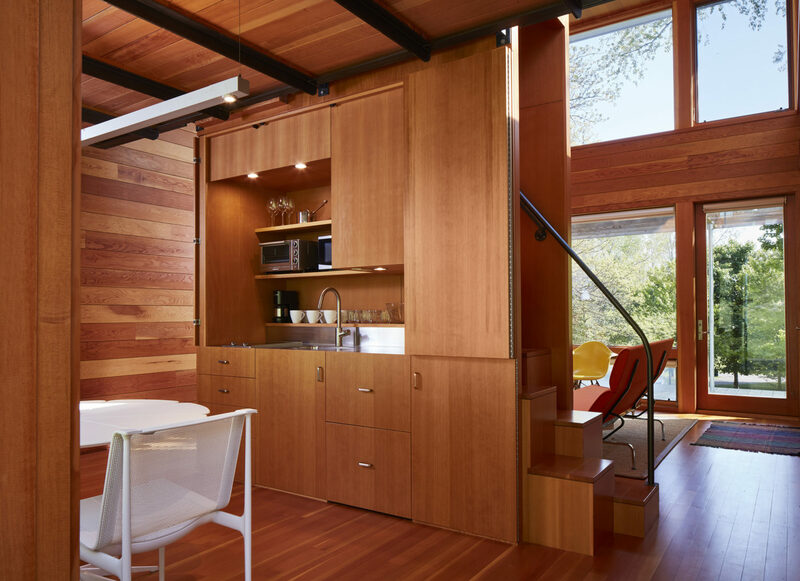 A central wood-clad volume divides the social zones, cleverly concealing cupboards, appliances and an efficient stair. 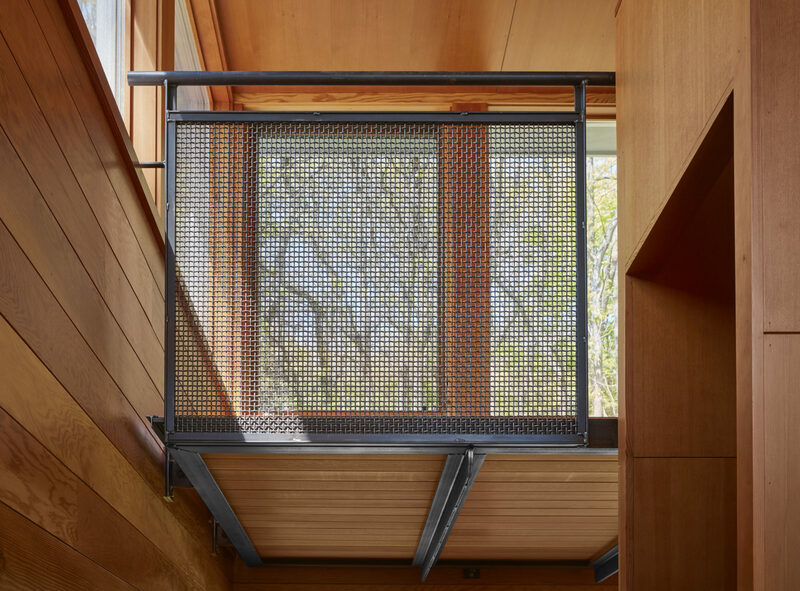 A wooden ceiling plane floats above the social spaces; clerestories wrap a light-filled working and sleeping loft, providing panoramic immersion with sky, lake and forest. 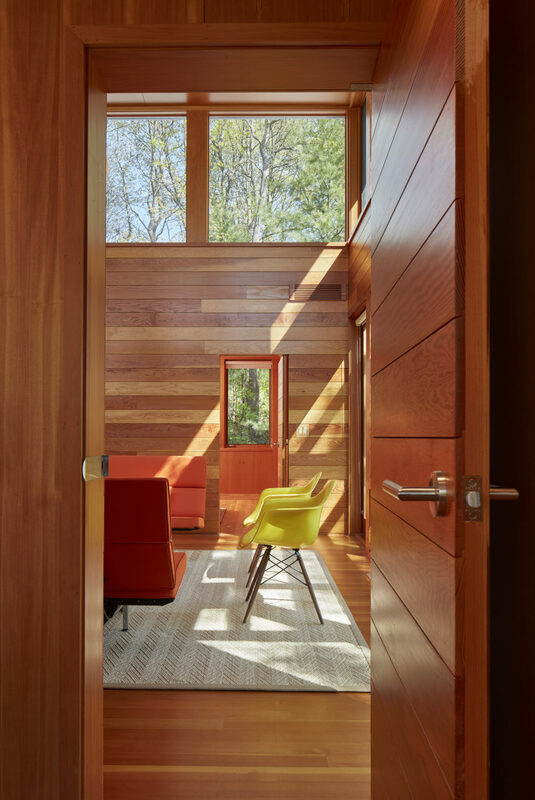 The guests all leave decompressed, happy. 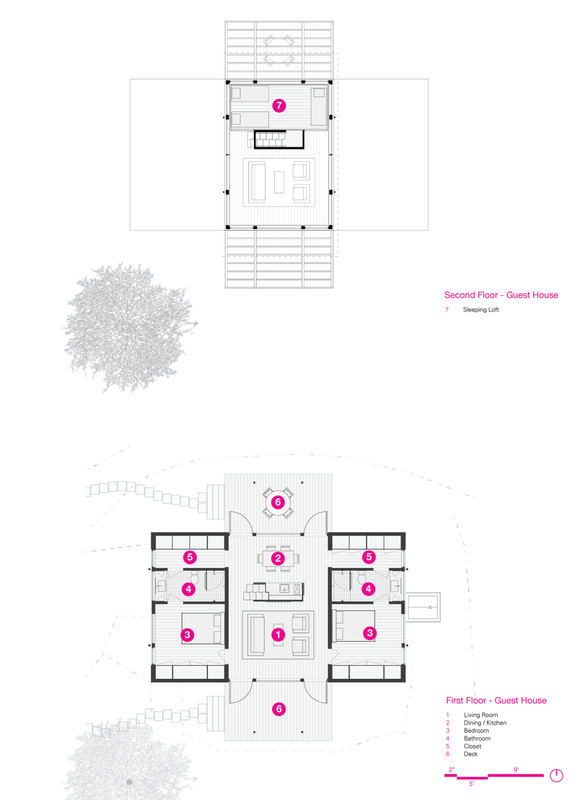 Just as planned.